Nancy W. Garran is the third-generation Executive Director/CEO of Cape Cod Sea Camps, Inc. (“CCSC”), in Brewster, which has offered recreational camp experiences for more than 90 years. Each summer, CCSC welcomes children, ages 4-17, from across the United States and around the world to its day- and resident-camp programs. CCSC also rents its facilities to congregations, schools, sports teams, families, and other groups during the off-season. In addition, the family business includes two hospitality properties, Linger Longer by the Sea and Sea Meadow Inn, both also in Brewster. Nancy grew up on the Cape and earned a Bachelor’s degree at Skidmore College in New York before returning to make her family’s business her life’s work. 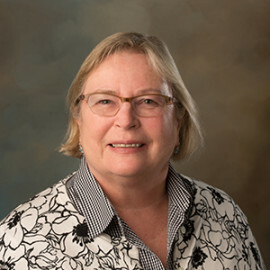 Serving on The Cooperative Bank of Cape Cod’s Board of Directors since 1993, Nancy Chairs the Compensation Committee, as well as sitting on the Audit and Governance Committees. She has been involved in most areas of the bank, lending her knowledge and insight as a small, local business owner to the overall success of the Bank. She has held Board and committee positions at the regional and national levels of the American Camp Association, is a member of the Massachusetts Camping Association and the Cape Cod Association of Children’s Camps. Nancy and her husband met at camp, live in Brewster, and have two sons who married their camp sweethearts. They have four grandchildren, who are the 5th generation in the family business, and will soon fill a cabin all by themselves.